Zesty yet sweet? Cran do. 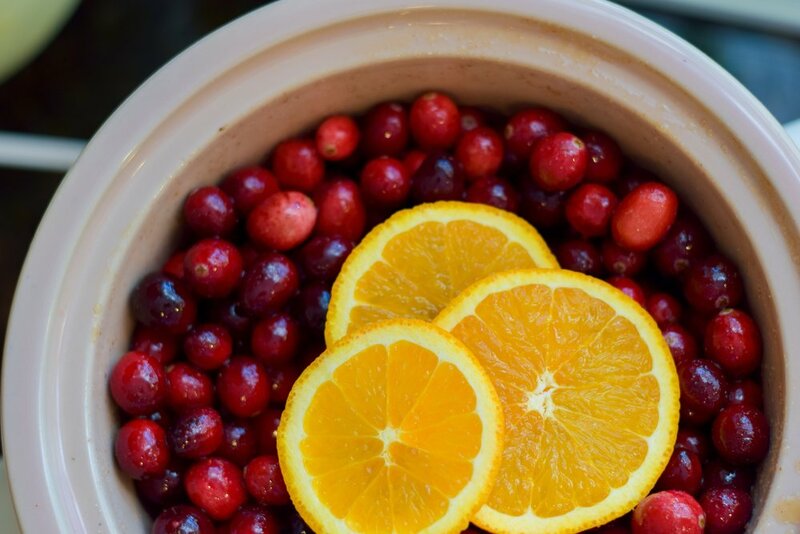 This bright, citrus-y take on a simple Turkey-day classic has just enough sweetness to balance out the slightly bitter notes from the orange zest without overpowering the vibrant, tangy cranberry flavors. Freshly-squeezed orange juice and herbaceous thyme round out this colorful side for an unforgettable addition to any Thanksgiving Day feast. Bring water, orange juice, sugar, orange zest, thyme and salt to boil in a saucepan over high heat, stirring occasionally. Add in cranberries and return to boil. Reduce heat to medium; simmer until thickened, and about two-thirds of berries have popped open (~5-7 mins). Remove from heat & stir in orange liqueur. Cool to room temperature and enjoy!